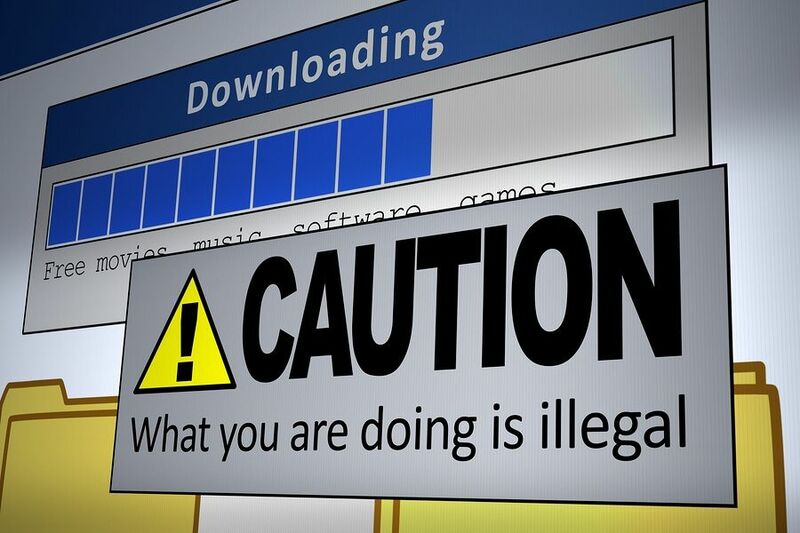 It seems like 2016 will be the year of the anti-piracy groups. First, we had KickassTorrents taken down by the US government and then TorrentHound went to the grave as well. After that, some Swedish piracy site also got into trouble with law enforcement agencies and then piracy websites had to deal with a massive coalition between various media giants. 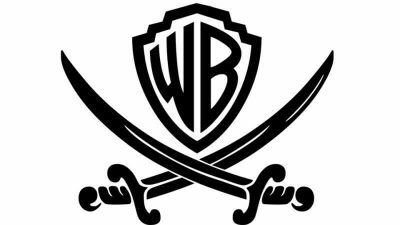 Now Warner Bros. has come out and claimed that a talent agency ran its very own piracy website for its own ulterior motives. Warner Bros. representatives told the court through a filed lawsuit that a talent agency actually ran its own file-sharing website for whatever reason that Warner Bros. was not able to ascertain yet. In fact, the agency in question effectively ran a piracy website in the sense that it ripped movie screeners (DVD screeners to be more precise) and then streamed those screeners directly to users through the use of Google servers. The related lawsuit was filed on Monday and it essentially accused Innovative Artists (the actual name of the talent agency) of copyright violation. The talent agency was also implicated on breaching the DMCA (Digital Millennium Copyright Act) after it was revealed that DVD screeners that were under the direct control of the talent agency were leaked to various file-sharing torrent sites. There is no doubt about the fact that whenever DVD screeners of upcoming movies and other forms of media content are leaked to the myriad of file-sharing torrent websites, studios are amongst the first entities to speak out against the damaging effects of the leaked copyrighted content. DVD screeners are in fact of great quality if one talks about clarity and sharpness of the actual video. And although these DVD screeners can’t really compete with some of the other advanced print technologies (such as Blu-Ray), they are still pretty watchable as an infinite number of online file downloaders would attest to. In other words, it doesn’t matter if the movie was leaked to file-sharing torrent websites before or after the official launch date. DVD screeners, provide enough quality to users to thank file-sharing torrent websites for sharing them without restrictions with the rest of the world at no charge. And perhaps that is also the reason why movies are downloaded in the millions on these file-sharing torrent websites regardless of the fact that they are in fact DVD screeners. Of course, that doesn’t change the fact that DVD screener leaked to file-sharing torrent websites is a headache for official distributors because of all the damage claims. Modern studios have the necessary resources to actually address the problem by tracking down screeners back to their sources. In fact, that has been the case for a long time so it is rather confusing to note why more studios haven’t gone after organizations that leaked DVD screeners in the first place. Industry insiders who leak these DVD screeners to file-sharing torrent websites face no legal action irrespective of the damage they cause to the studies because of the leaked online content. Many people have wondered why studios don’t expend a bit more effort in order to punish leakers who put DVD screeners on file-sharing torrent sites. Well, these people have to wonder no more as the situation has, finally, changed starting from yesterday. 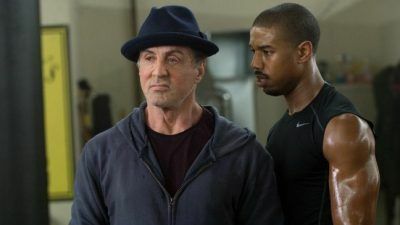 Warner Bros. Entertainment showed that the studio had enough of these DVD screener leakers and sued a talent agency by the name of Innovative Artists for being a direct accomplice in leaking copyrighted material to the internet without prior permission or consent from the producers of that content. Not only individual users but sources who upload copyrighted content are, now, also in trouble. Warner Bros. Entertainment filed the lawsuit in a California federal court. Moreover, Warner Bros. Entertainment accused Innovative Artists of effectively operating its own piracy website which was reported to be stocked with copies of DVD screeners of upcoming movies that were supposed to be kept under wraps until the official launch of the related movies. The Warner Bros. Entertainment complaint pdf stated that beginning in late 2015, Innovative Artists had set up and operated an illegal digital distribution platform that copies movies and then distributed copies and streamed public performances of those movies to numerous people inside the outside of the agency. The lawsuit statement from Warner Bros. Entertainment further read that Innovative Artists stocked its platform with copies of Plaintiff’s works and that included copies that Innovate Artists made by ripping award consideration “screener” DVDs that Plaintiff sent to the talent agency to deliver to one of its clients. Needless to say, the accusations level by Warner Bros. Entertainment against Innovative Artists are pretty serious in terms of copyright violations and the damages that occurred because of those copyright infringements. It should also be mentioned that given that Innovative Artists worked in the entertainment industry and were fully aware of the consequences of leaking, intentionally or unintentionally, copyrighted material on the internet, the agency should have known better than to put up copyrighted content, regardless if the content was of DVD screener quality, to file-sharing torrent websites. Warner Bros. Entertainment lawyers wrote about this fact in similar fashion in the complaint that was presented to the court in California. The complaint from Warner Bros. Entertainment, also said that the actions Plaintiff (plaintiff is a person or an entity who brings a case against another in a court of law, in this case, Warner Bros. Entertainment) complains of are blatantly illegal and that illegality would be obvious to anyone but especially to an entity like Innovative Artists, which was a talent agency that claimed to promote the interests of actors, writers, directors and others whose livelihoods depended critically on respect for copyright. Warner Bros. has taken the no-nonsense approach against pirates. And if you thought that this was the worst part of the whole situation then you thought wrong since what made matters worse was the fact that some of the DVD screeners that were ripped by Innovative Artists leaked out beyond the talent agency’s platform. The company had actually shared the copyrighted content on a Google Drive account. Moreover, according to the complaint submitted by Warner Bros. Entertainment, it was also revealed the Warner Bros. Entertainment had found out that something was improper when the involved content security company by the name of Deluxe Entertainment Services had recommended Warner Bros. Entertainment that DVD screener copies of movies including Creed and In The Heart Of The Sea had suddenly cropped up on file-sharing torrent websites. It was also found out that both aforementioned movies’ DVD screeners were released to the online world of pirates by Hive-CM8. For those who don’t know, Hive-CM8 is a release group that was found to have been involved in many leaks during the month of December last year (2015). The important point to note here is that, fortunately for Warner Bros. Entertainment, both DVD screeners were tagged with watermarks that allowed Warner Bros. Entertainment to put its resources to work and then track the leaked content all the way back to the original source. Warner Bros. Entertainment, in its complaint to the court, also said that because the screeners were “watermarked”- embedded with markers that identified their intended recipients- the Plaintiff traced the copies of the DVD screeners that the Plaintiff had sent to an Innovative Artists client, in the care of the agency. Warner Bros. Entertainment lawyers also pointed out that instead of forwarding the DVD screeners directly to its client, Innovative Artists used illegal ripping software to bypass the technical measures that prevented access to and copying of the content on DVDs. Warner Bros is suing Innovative Artists for several leaked DVD screeners. It further added that Innovative Artists, after ripping those DVD screeners with illegal software, then copied the movies to its digital distribution platform, where those DVD screener copies became available for immediate downloading and streaming along with infringing copies of many other copyrighted movies. As mentioned before, the allegations leveled against Innovative Artists by Warner Bros. Entertainment are deleterious enough already but Warner Bros. Entertainment lawyers did not stop there at all. The complaint from Warner Bros. Entertainment also alleged that Innovative Artists also gave exclusive access to the copyrighted DVD screeners that were stored on the agency’s Google Drive folder in exchange for means of entry to access other titles that were still not in the agency’s custody. Warner Bros. Entertainment wrote, in its complaint, that Innovative Artists traded access to some of the studio’s unauthorized digital copies of movies in exchange for unauthorized copies of content possessed by third parties. It explained further by giving an example that in one case Innovative Artists granted an assistant at another company access to the digital distribution platform because the assistant had provided a screener to Innovative Artists for a title that was not already on the platform. For what it’s worth, Warner Bros. Entertainment legal representatives are seeking statutory damage claims (as determined and required by law) or actual ones for copyright infringements. The amount is reported to be around a maximum figure of $150,000. This penalty is being demanded by Warner Bros. Entertainment as compensation for willful copyright violations and attorney fees. 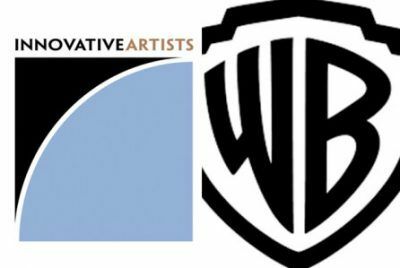 Warner Bros. Entertainment is also seeking an injunction against Innovative Artists. The studio also claims that the maximum statutory damages are justifiable and actually permitted by the DMCA when a party is found involved in breaching anti-circumvention provisions which Innovative Artists did when the agency ripped those copyrighted DVD screeners. Innovative Artists has apparently come out with an apology statement in the hope that saying sorry to Warner Bros. Entertainment might just be enough to fix the messed up situation with the studio. As mentioned earlier in the article, Warner Bros. Entertainment had taken the talent agency, Innovative Artists, to court yesterday over several counts of copyright violations. Below, you can find the complete statement from Innovative Artists management and as always, credit goes to Deadline for uploading the talent agency’s apology statement in a timely manner. Not that it would make any difference to the way Warner Bros. Entertainment is likely to handle the ensuing legal proceedings. Innovative Artists has fully cooperated with Warner Bros. from the first moment Warner Bros. informed Innovative that two award screener movies had been found on an Internet BitTorrent site in December 2015. Innovative immediately permitted Warner Bros. to enter its offices, interview it’s employees, review its databases, and fully investigate the issues. As Warner Bros. well-knows, Innovative management immediately shut down all access to award screeners in December 2015 and Innovative immediately ceased any further activity that is the subject of the complaint. Warner Bros. is well aware, from its past experience with other industry entities, the sharing of award screeners is commonplace within the Hollywood community. Innovative was surprised, given its full cooperation with Warner Bros. investigation, that the complaint was filed without any communication from Warner Bros. without any prior contact with Innovative to resolve the claims. Notwithstanding that fact, Innovative is sorry for the improper sharing of the screener movies and will seek to resolve this matter with Warner Bros. on fair and reasonable terms as soon as possible. Innovative will have no further comment on this matter. If you found this story helpful then don’t forget to subscribe to securitygladiators.com to stay updated with the latest happenings in the world of cyber security and technology. What do you think about the story? Does Innovative Artists deserve this kind of treatment from Warner Bros. Entertainment? Is it not human nature to share stuff they like and hence even industry insiders such as Innovative Artists, are leaking copyrighted content to the online world without permission from the creators of that content? And while playing the devil’s advocate, if Innovative Artists is actually involved in distributing copyrighted content without permission then isn’t a $150,000 just a slap on the wrist given that other people around the world are handed jail sentences for far less serious crimes? Do let us know your thoughts and opinions by using the comments section below. We would love to hear what our readers think about issues relating to piracy and cyber security. And if you don’t want anyone snooping on your online activities then how about signing up for VPN service. Had Innovative Artists used one, it might not have found itself in such a predicament. Not that securitygladiators.com or any of its staff condone or support copyright violation activities.